Last night I escaped after dinner to the boat shed to keep the momentum established over the weekend. 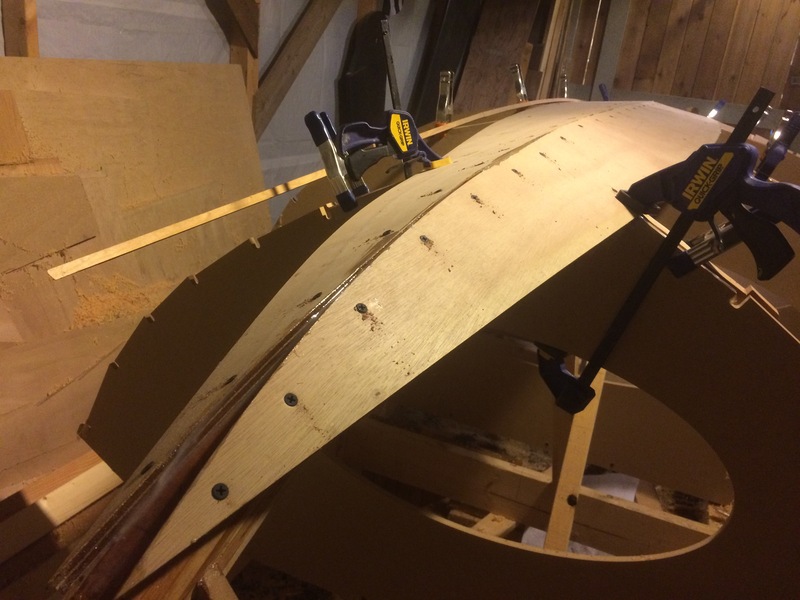 All the fairing and bevelling was with the intention of glueing the garboard strakes. 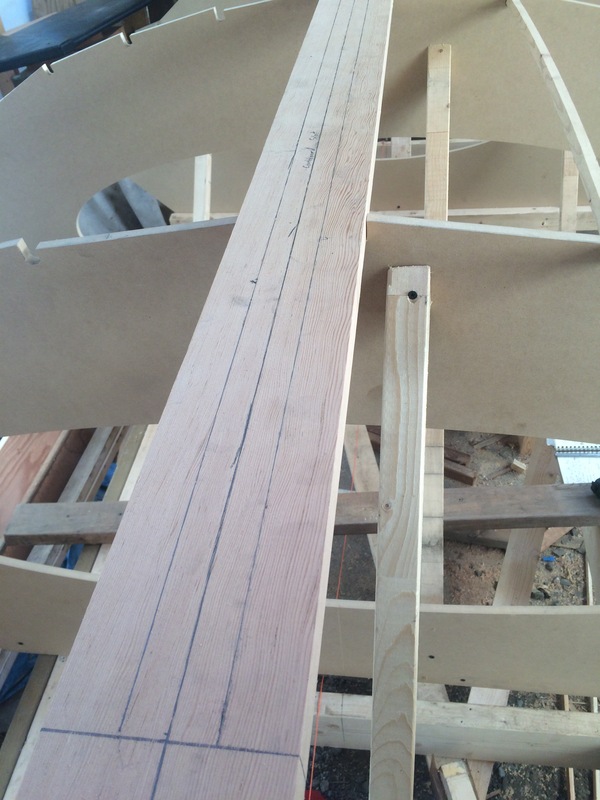 The most interesting part was as I was dry fitting the garboard strakes to see the angles of the curve of the board at each floor. What happened after that was a lot of epoxy… Pre-coating the surfaces with unthickened epoxy to sink into the fibres, then applying epoxy thickened with West Systems 406 colloidal silica. For the next couple hours my latex gloves were wetted with epoxy and I had started a process I could not stop. garboards all glued up and held in place with temporary drywall screws. When I finally pulled off the gloves, the two garboard strakes were on, all the squeeze out epoxy cleaned off and it was one in the morning. Fortunately gluing is quiet so I did not bother any of the neighbours. It will be interesting to see how the second strakes line up, in the meantime it feels good to reach this milestone. In a nice turn of events, my children are off visiting my brother in Victoria with my mom, which is giving two full days to work on the boat. 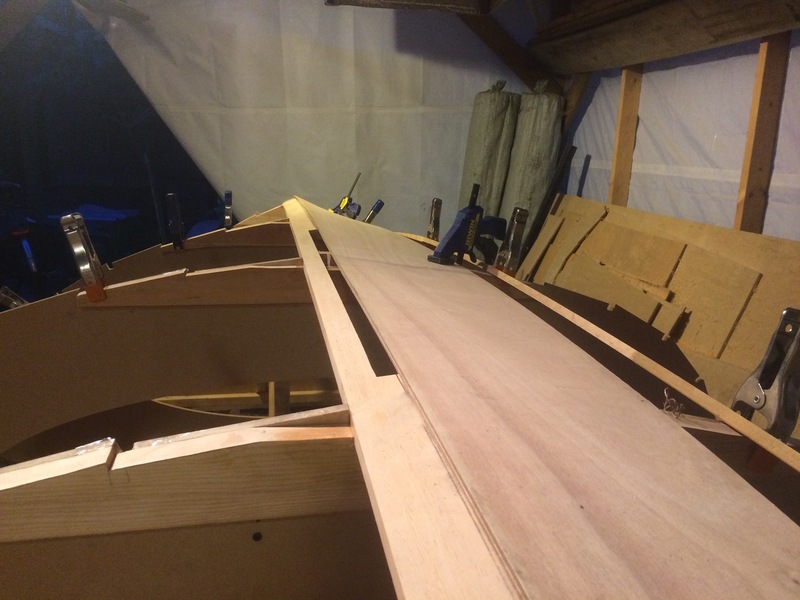 After gluing the keelson to the aprons last week I’m now ready to do the beveling so that it is ready to have the floor timbers and garboards glued to it. 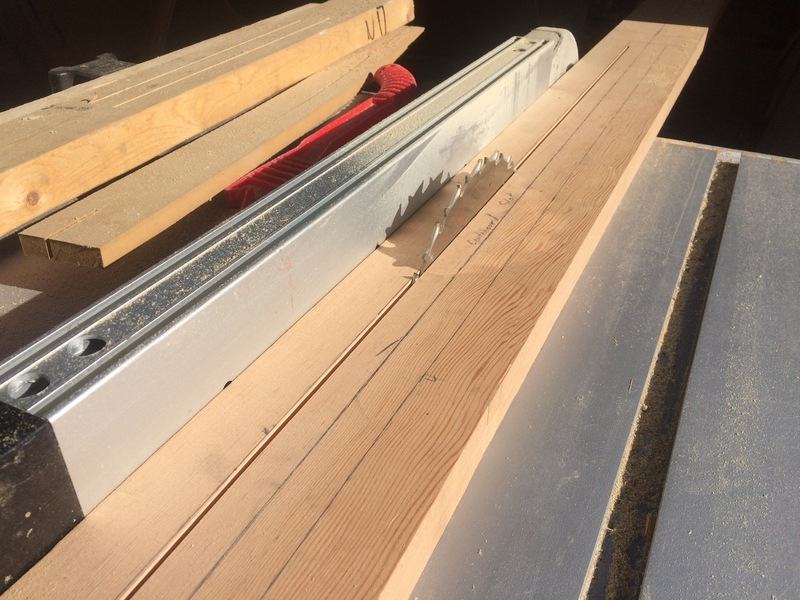 The challenge is that there is a fair amount of wood to plane down and it is not just one angle but a whole series of changing angles called a rolling bevel that follows the contour of the boat.